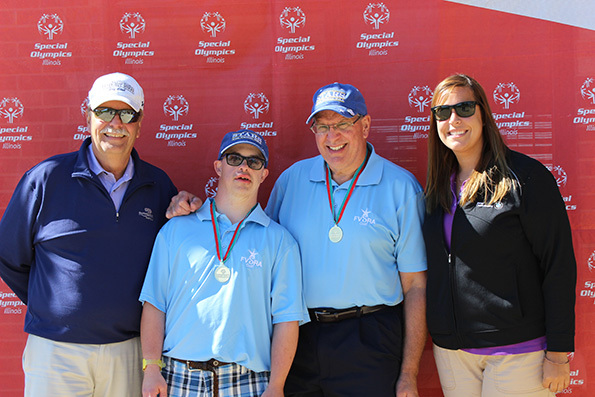 Longtime Special Olympics Illinois volunteer Bob Gavelek is retiring on Oct. 31 from his career as a golf pro. Gavelek has been supporting and working closely with Special Olympics Illinois Far Western Suburban/Area 2 for 30 years. He has played roles big and small, all while working with many athletes along the way. Gavelek has been a coach and taught lessons to Special Olympics athletes, plus using Bartlett Hills Golf Club in Bartlett to host events. 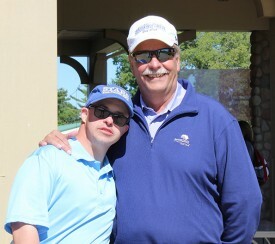 Gavelek’s involvement with Special Olympics started when he first offered his golf course to host Area 2’s Winter Games. His passion for helping the organization shifted into high gear in 1995 when Special Olympics started to offer golf. Each year, Gavelek travels to the state golf tournament in Decatur, not only to cheer on the athletes, but also to make sure everything is in place and held up to Special Olympics Illinois standards. “Bob treats the athletes like golfers and gives them the quality and respect that they deserve,” said Amy Kaylor, Manager of Sports and Competitions for Far West Suburban/Area 2. Among the athletes that Gavelek works closely with is Ben Brizzolara. 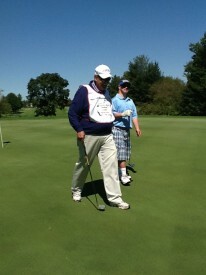 Ben has been competing in golf for about 22 years; he started his journey with Special Olympics in junior high. Bob was Ben’s first Unified golf partner. 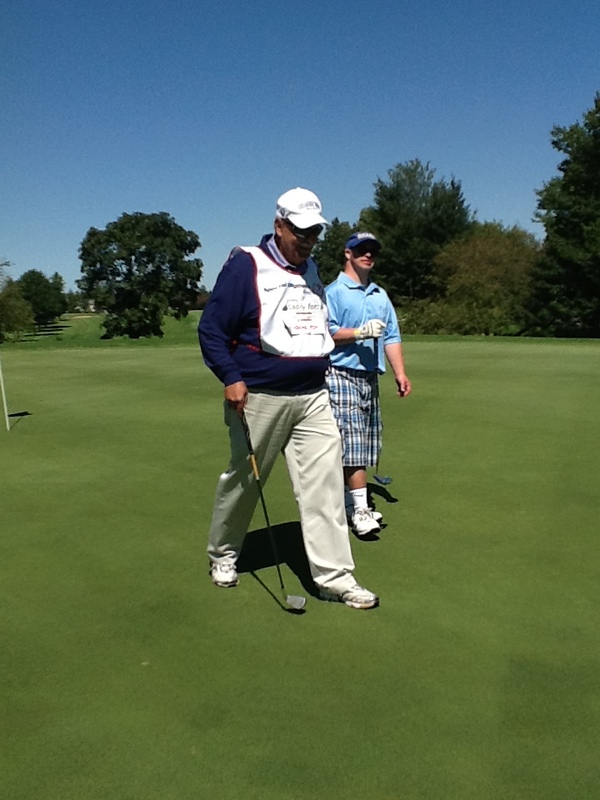 Currently Gavelek and his daughter, Gina, caddy for Ben and his Unified partner Mike Chmielewski (shown above) at competitions. Gavelek also gives lessons to Ben weekly on Sunday mornings. Gavelek feels very fortunate to be involved with Special Olympics. “It has been a fantastic experience getting to know the athletes, coaches and families. The support of the Special Olympics community has been great,” he said. In retirement, Bob plans to do some traveling with his family and begin golfing again. He has not been able to golf much since becoming a pro because he has been busy running the golf course. Although his career as a golf pro is coming to an end, his work with Special Olympics is not. “I never want to NOT do Special Olympics,” said Gavalek.